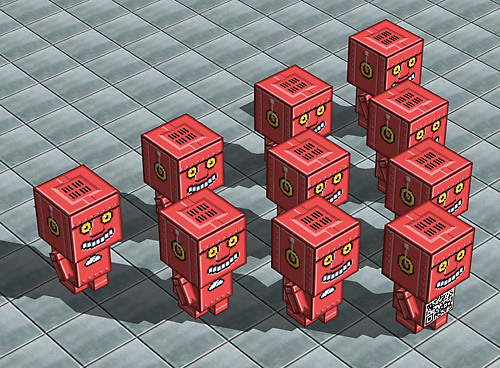 Hey look, It’s a bunch of friendly little Pixel Bots! 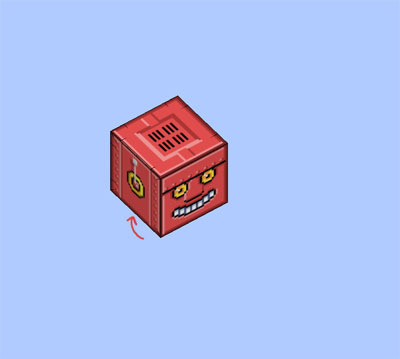 They are friendly, right? 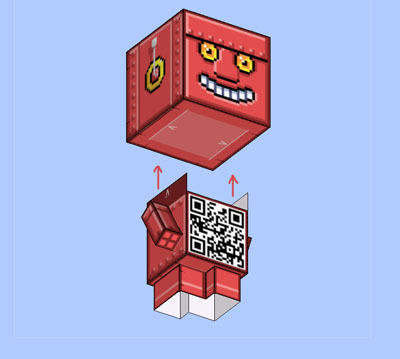 Find out what your Pixel Bot is thinking by scanning it’s QR code with your smart phone. 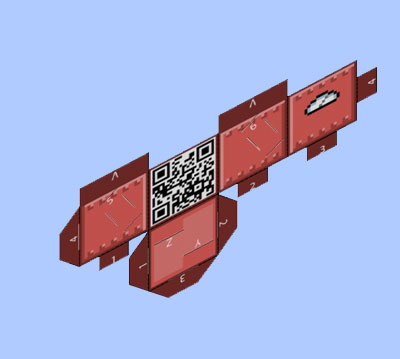 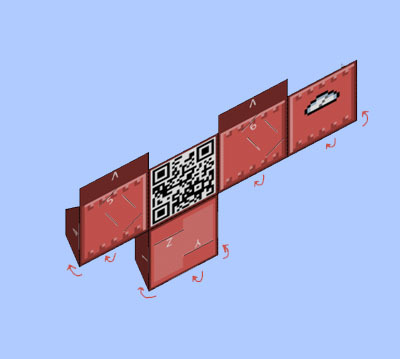 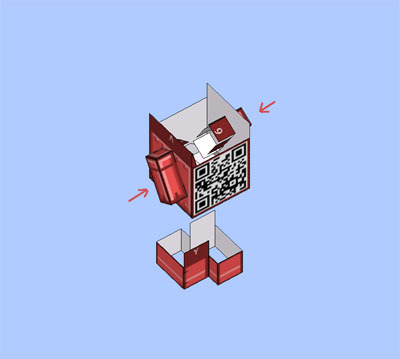 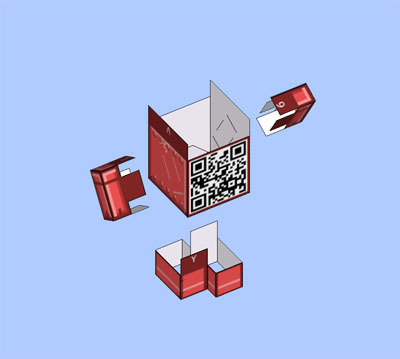 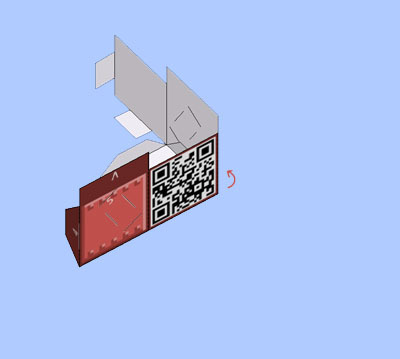 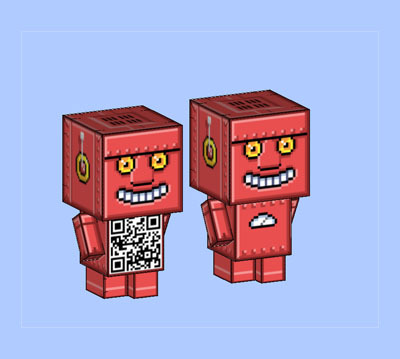 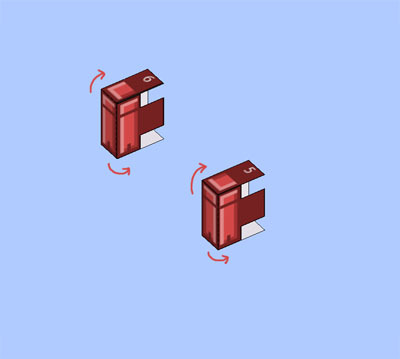 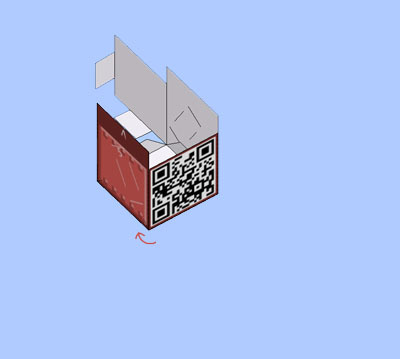 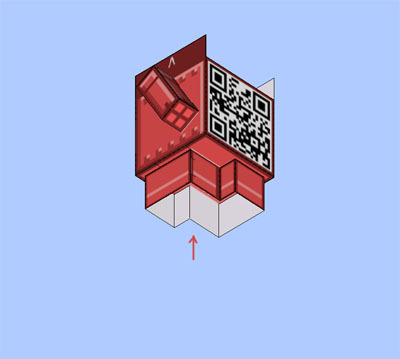 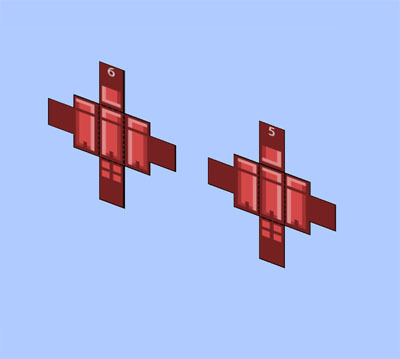 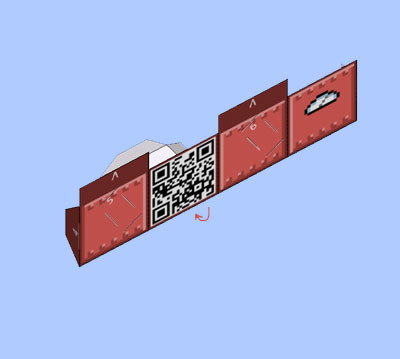 Pixel Bot bodies are reversible, so the QR code can be in the front or in the back. 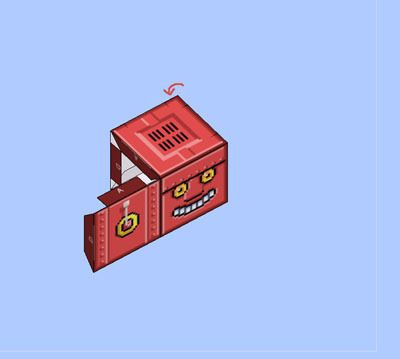 Like the FOLDed Facebook page and send me a photo of your Pixel Bot! 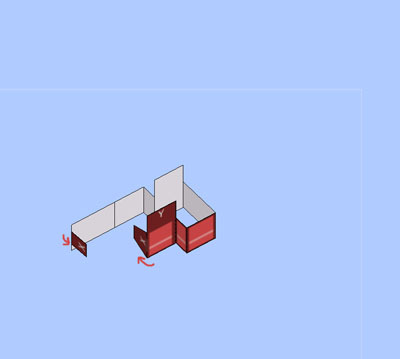 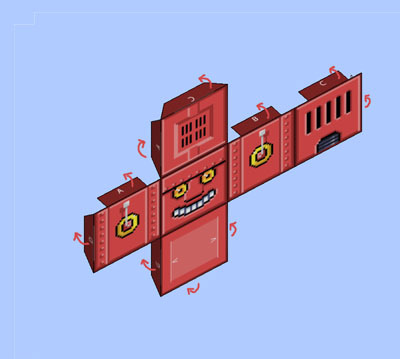 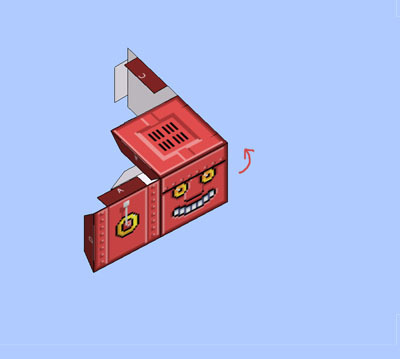 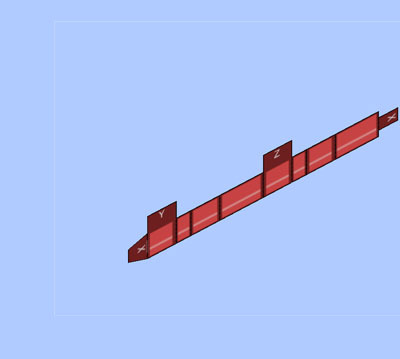 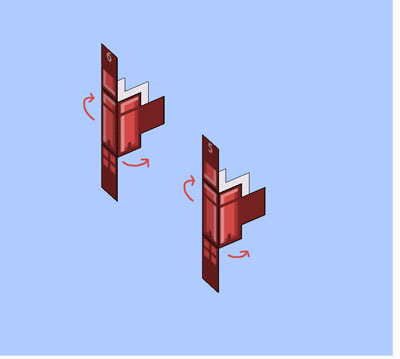 1) Download and print the FOLDed Pixel Bot PDF (click the image below). 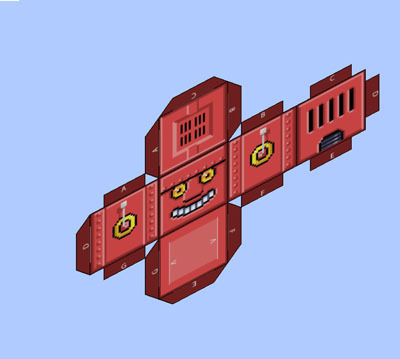 2) Cut out the five shapes. You might want to review the “Getting Started” page for tips and advice on cutting and assembling. 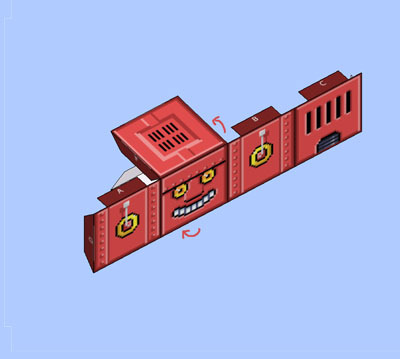 8) Attach head to body. 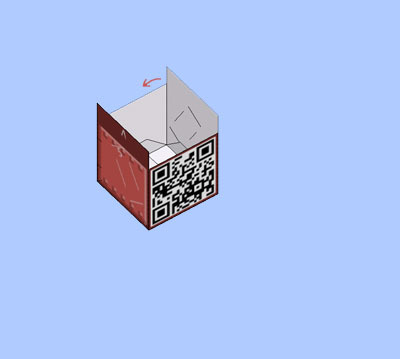 You can decide if you want the QR code in the front or the back. 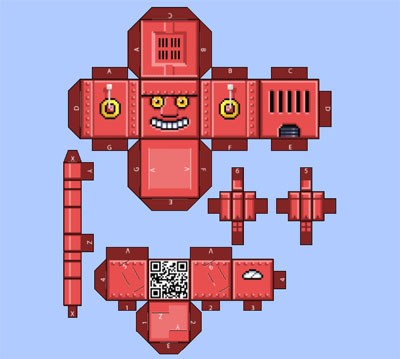 9) Build a Pixel bots army!